Full size Bicycle wheel consists of rim diameter and thickness of a Bicycle tire. Traditionally, this parameter is measured in the English inch – today, there are no more than six most common sizes of Bicycle wheels - 20, 24, 26, 27, 28, 29 inches. So how can we know the diameter for your bike? Wheel diameter at the children's, folding and BMX bikes are 20 inches, and the varieties of freeride and similar extreme sports – 24 inch. Mountain, city and recreational bikes, the wheel size is 26 inches, while the road types, it reaches 27 inches. Road and hybrid varieties as well as traditional Soviet model have a diameter of 28 inches. New standard wheels mountain bike, which is gaining popularity, is 29 inches. 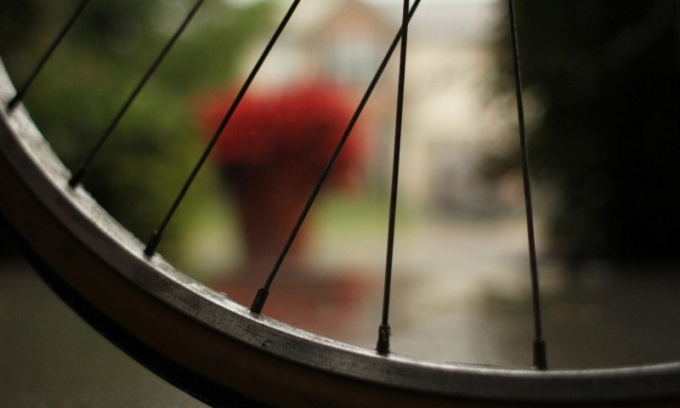 The most common size of the modern Bicycle wheels are 26 inches. Tyres with a diameter from 27 to 29 inches installed on a rim whose size is 622 mm. The change in the total wheel diameter is solely due to the thickness of the Bicycle tires. To determine it we need to see the size of the tires that were previously installed on the bike. Usually the size of Bicycle tires is located on their side walls (as in car tires). Its size and rim diameter of the wheel rim should correspond to each other. To learn the parameters of the wheels of the Bicycle, you need to measure the diameter of the seats. For this you will need a thin soft wire or steel tape which is placed on the first ledge that serves as a seat for the tire, and wrapped at its outer surface to the formation of a fully closed ring. Then gently remove the tape from the wheel rim, it is stretched in a straight line a tape measure and measure its total length. The resulting figure divided by 3.14 is the diameter of the wheel. Internal tyre size can also be determined by the subtraction of the outer diameter of the double value of the cross-section of the tyre. Another very accurate way of measuring is to draw a straight line on a smooth horizontal surface. On this line you have to pass one turn of the wheel, pushing the wheel – in this case, the bus must be made in advance mark (at desire it is possible to drive not one, but several turns). Then you just need to measure the tape cut, which drove the wheel. To obtain the most accurate result trip may be repeated several times and calculate the average, which is the size of a Bicycle wheel.